Exciting news from University Archivist, David McCartney, about the incredible recordings found in the Eric Morton Civil Rights Papers. In 1963 and 1964, attorney Bob Zellner recorded a series of interviews with civil rights activists in Mississippi and Alabama. Zellner conducted the interviews on behalf of the Student Nonviolent Coordinating Committee (SNCC) in an effort to document the activists’ experiences, which were often under challenging and violent circumstances. 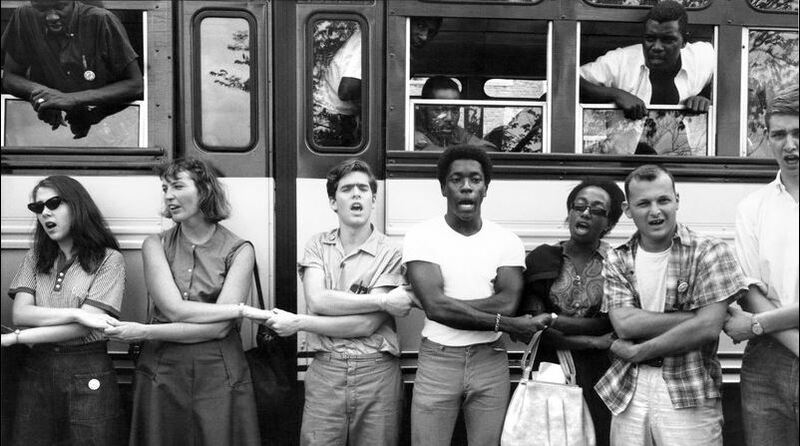 The interviewees participated in the Mississippi Summer Project in 1964, later to be known as Freedom Summer, a drive to register African Americans in the Magnolia State to vote. For decades, attempts by blacks to register at county court houses across the state were met with intimidation, harassment, and even violence. 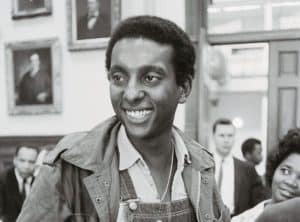 Freedom Summer was an organized response to this situation, with activists from across the U.S. participating, including over 800 college and university students. Among them were about a dozen students from the University of Iowa. Why Mississippi? At the time, only seven percent of eligible black adults in the state were registered to vote, the lowest rate in the nation. SNCC, the Council of Federated Organizations, the NAACP, and other civil rights organizations targeted Mississippi for this effort due its discriminatory Jim Crow laws and practices. In response to this, the Voting Rights Act of 1965 was passed by Congress and signed into law by President Lyndon B. Johnson the following year. The interviews are part of the Eric Morton Civil Rights Papers (MsC 0999). 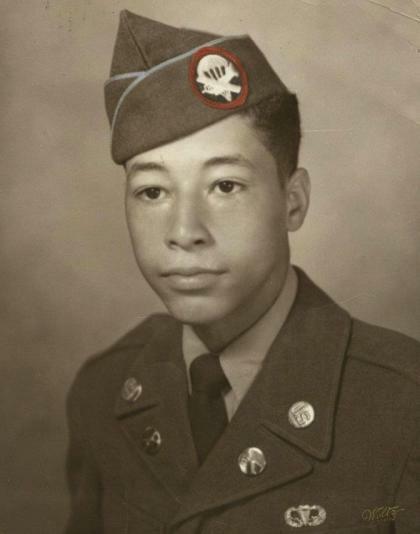 Morton (1934-2015), a native of Detroit, Michigan, and a U.S. Army veteran of the Korean Conflict, held various positions with SNCC from 1962 to 1966 in Georgia, Mississippi, Alabama, and North Carolina. 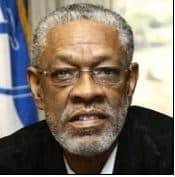 He was Materials Coordinator for Freedom Summer and later served as Project Director for the North Carolina Project, which covered nine Black Belt counties. After this he worked to elect black officials including John Conyers and Ron Dellums to Congress and Coleman Young as mayor of Detroit. In 1968 Morton worked with a group of local activists to organize the 1969 National Black Economic Development Conference where James Forman presented his historic speech, “The Black Manifesto.” In later years, Morton worked as an International Organizer for AFSCME organizing hospital workers and housekeepers in northern California and UC Berkeley. Later, his academic career included the position of Associate Professor of Philosophy at Fort Valley State University of Georgia. Eric Morton donated his papers to the University of Iowa in 2014, in large part because of his friendship with Stephen Smith (1944-2009), a University of Iowa student from Marion, Iowa. 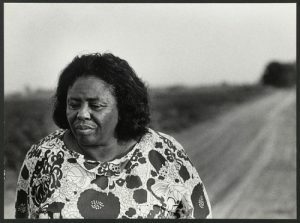 Morton and Smith worked together in Mississippi during Freedom Summer; both were assaulted by white supremacists on the night of July 15, 1964 while delivering voter registration materials from Jackson to Greenwood. More about how the Eric Morton papers arrived at Iowa is here. 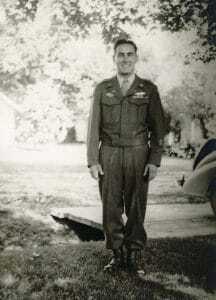 Jimmie Travis: Photo from Veterans of the Mississippi Civil Rights Movement, Inc. If you’re like me, then you haven’t really given them much thought. Growing up in pre-Google days, my family owned a 1988 set that was used and abused by my siblings and I, for both school reports and building forts, and they proved a go-to for school projects and reports in those early years of my education. However, I was more concerned about the information contained within these volumes that I never thought about these encyclopedias as an object in themselves. On February 13th, Iowa Bibliophiles will finally give you and me the chance to take a moment to appreciate the encyclopedia as an object. 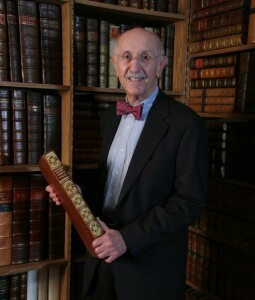 Professor Emeritus Arthur Bonfield will be giving his talk “Development of the Eighteenth Century English Encyclopedia or Dictionary of the Arts and Sciences,” exploring not only the history of the English encyclopedia, but also examining early Latin and French encyclopedias that preceded the 18th century English publications. Professor Arthur Bonfield among his collection. Professor Emeritus Bonfield has been collecting rare books for over 60 years now. 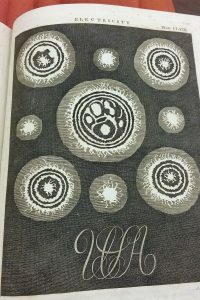 His collections includes over 1,000 original copies of books from early printing days, including volumes on exploration, geography, English literature and history, and of course encyclopedias. Please join Special Collections and Iowa Bibliophiles on February 13th to hear a fascinating talk about something so many of us take for granted with Professor Bonfield. Event starts at 7pm in the Special Collection’s Reading Room (3rd floor of the Main Library), with refreshments served at 6:30pm. Find out more on our Facebook event or on the UI Event Calendar. Thanks to Hannah for the hard work, laughs, and pure librarian magic that you brought Special Collections! 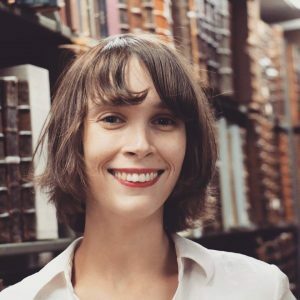 Below is a reflection from Micaela Terronez, Olson Graduate Assistant, on the “Manuscripts at Special Collections” open houses. Can I really touch it? One curious visitor asked this question in amazement as they gazed at one of the twenty-one visiting manuscripts from Les Enluminures, a gallery of unique text manuscripts with locations in New York, Paris, and Chicago. As a part of the program, “Manuscripts in the Curriculum,” Les Enluminures temporarily loans a select group of unique manuscripts to educational institutions. 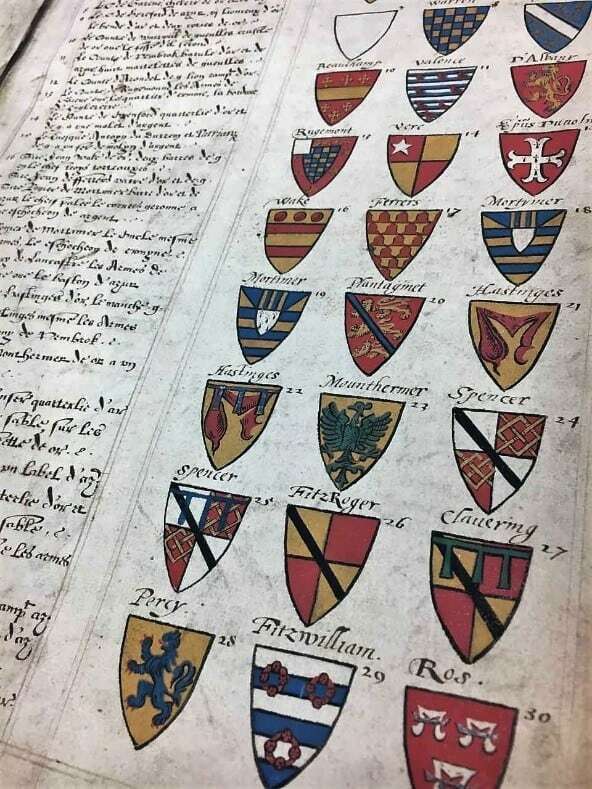 Fortunately, The University of Iowa Libraries’ Special Collections was able to host the manuscripts, covering various contexts and locations from the 13th to the 19th century. 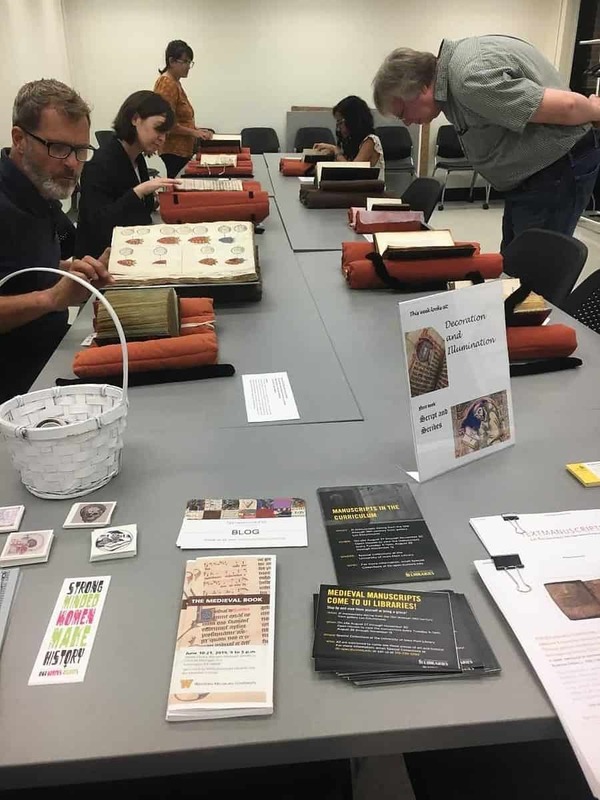 In addition to classroom integration, Special Collections planned a series of open houses for the University and broader community to have hands-on experience engaging with these one-of-a-kind pieces. From August to November, around 200 visitors viewed the visiting manuscripts—along with a couple favorites from our own collections. Logistically speaking, each open house exhibited 10 to 12 manuscripts aligned with a pre-decided theme. The themes included: Signs of Production, Decoration and Illumination, Script and Scribe, Manuscripts Outside Latin West, Medieval Society, Vernacular Texts, Music, Medieval Authors, and Bestsellers. This diverse set of themes allowed us to highlight certain texts each week without exhausting the materials or the visitors. The open houses were marketed through classroom instructions, social media, departmental networking, events, newsletters, and blogs. These efforts garnered an audience of students, scholars, and outside community members of various ages and backgrounds. At the open houses, guests were given brief guidelines to handling the manuscripts and were encouraged to turn the leaves by the margins. Like the curious visitor above, many could not believe that they could touch, let alone, move through the leaves of a codex to see every script and image. However, in cases with a large number of visitors, guests were advised to admire the manuscripts without touching as to protect the longevity and structure of the manuscript. During these events, special precautions were taken to make sure the manuscripts were handled carefully, while also allowing the viewer to engage and ask questions. Non-flash photographs were highly encouraged, and many patrons took away some amazing captures to keep and share with friends and family. We also offered an interactive matching game of medieval authors, temporary tattoos, buttons, and bookmarks for visitors to take home. Because of an increase in public visitors, the fall semester was a whirlwind of planning, marketing, curation, learning, and teaching. For example, Elizabeth Riordan (Outreach and Engagement Librarian) and I created specially made description cards for each manuscript on display—that’s a lot of writing and research! The description cards served two purposes. First, it was the perfect way for us to learn more about the visiting manuscripts, along with the interesting details and histories. This knowledge proved highly valuable during open houses and classes. Secondly, visitors were able to easily understand the terminology, history, production, and uses of the items exhibited. These descriptions also helped to spur questions and discussions throughout the weeks. Riordan and I also enjoyed choosing manuscripts from our own collections to feature alongside the visiting manuscripts. In this way, we were both able to think more contextually about the manuscripts from Iowa and what themes can be highlighted throughout them. In addition to our visitors, we both walked away from the open houses more knowledgeable about medieval manuscripts, their features, and histories. There were several other benefits and take-aways from these open houses. Perhaps most importantly, we learned a great deal about the value of increasing access and visibility of the manuscripts through hands-on exploration. Patrons made incredible observations about the texts, while also initiating fruitful discussions amongst themselves and with staff. They also inquired about the contexts, materiality, users, producers, and authors. More so, visitors were able to actually feel the hair of the parchment, translate scripts, study the bindings, and so much more! With calm medieval chants playing in the background, many also took the events as an opportunity to relax and purely admire the artistry behind the texts. I would say friendships and interactions were created among these beautiful works, an effect that perhaps wouldn’t have happened without the hands-on experience with the manuscripts. 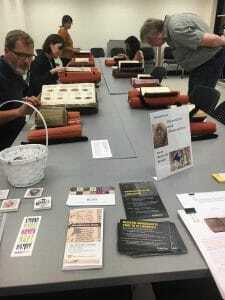 The open house series ended with one last exhibit, as well as a visit and talk titled “People and the Book: the Voices of Manuscripts from the Middle Ages” from Laura Light of Les Enluminures. These final events allowed visitors to ask intriguing questions about the visiting manuscripts from Light, an expert historian on medieval works. As November comes to a close, it is now time to say goodbye to these works. I, for one, am going to miss the manuscripts very much. 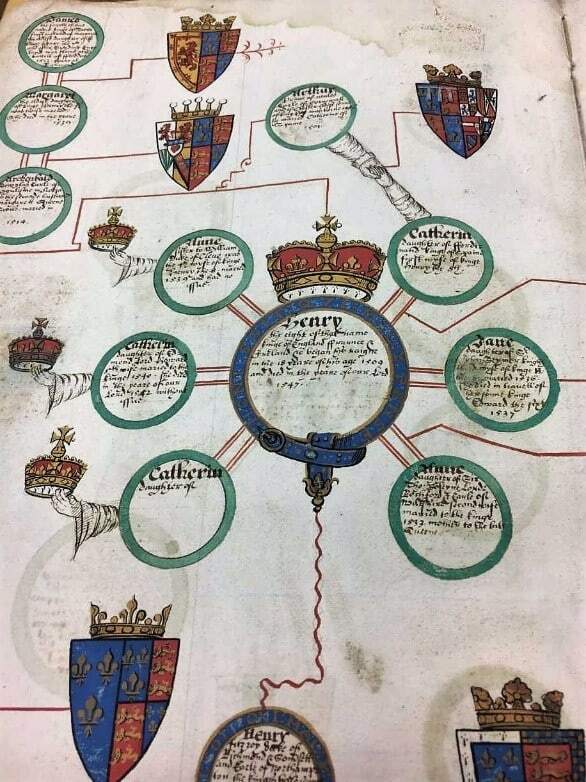 Here are a couple of photographs from my favorite visiting manuscript, a “Roll of Arms” created during the Elizabethan period in England. The manuscript features stunningly detailed shields, illustrated crowns, and stylized arms shaking hands to signify marriage. Like myself, I am sure many visitors appreciated the work and talent that went into these lovely pieces. The successful planning and implementation of the open houses was a team effort of the library and conservation staff, and we were incredibly grateful for the opportunity to engage with the community, students, and faculty during these open houses. Thank you to all that visited Special Collections, asked questions, and made us ponder the creation and use of these manuscripts. We hope you continue to visit us in the future, whether it is for research, exploration, or just admiring a cool book or leaf. This Halloween season, Frankenstein is everywhere. And no wonder, for the book turned 200 this year and is overdue for a party. While the monster is everywhere, what about the woman who created the famous story? We’ve asked our own Frankenstein expert and Curator of Science Fiction and Popular Culture, Peter Balestrieri to review the latest film on the famed female author. In 2018, the 200th anniversary of the publication of Mary Shelley’s Frankenstein, a new film by director, Haifaa Al-Mansour, Mary Shelley, opened and died quietly. Not the subject, writing, direction, nor the talent and reputations of its stars could save it. I saw it and enjoyed it very much. I anxiously waited for this film after it went into production and hoped it could do justice to its subject and the Romantic period. It comes not long after a recent biopic of doomed John Keats, and, featuring doomed Percy Bysshe Shelley, doomed Lord Byron, and doomed John Polidori, along with possibly the greatest teenage author ever, Mary Shelley, it promised to be a welcome addition to all the scholarly and pop culture attention focused on Frankenstein. Alas, it bombed. Some critics panned the film for deviating from historical fact; it is actually very close to the mark with a few notable exceptions. Some have objected to the acting; it was certainly good enough, with Elle Fanning doing a wonderful job, proving again that she is one of film’s best young talents. Familiar faces from Game of Thrones and BBC productions round out the cast. Most reviewers agree Mary Shelley is a very good film to look at; I thought so too, especially the costumes and interior shots. Also good: the dialog, both sharp and poetic. For me, though, one feature more than any other makes this a film worth seeing for anyone interested in the period, the subject, the personalities involved: the troubled, complex relationship between Mary and Percy. I began research into Frankenstein years ago, using materials from Special Collections and Shelley biographies and it was Mary’s story that impressed me the most. I think Mary put much of her pain and frustration with Percy and his treatment of her into the novel, writing Percy as Victor Frankenstein and herself as the Creature. The film goes into this territory in a way unseen before and I loved it. Percy Shelley is a Bad Boy, who, along with Byron and others, creates the lifestyle emblematic of the Romantics, doomed libertine artists who blaze comet-like and are gone too soon. When Mary rejects her husband’s hypocrisy, cruelty, and excess, the film sends a powerful message to young women and men. See Mary Shelley if you get the chance. I will definitely be seeing it again. It is, however, not a good Halloween film; the only monsters in Mary Shelley are the people in her life. The University of Iowa Libraries Special Collections is looking for the next Olson Graduate Research Assistant. If you are a graduate student, or an incoming graduate student, find out more here. However, you might be asking what does being the Olson Graduate Research Assistant actually mean? Well, who better to explain that then those with the experience. Hannah Hacker was Special Collections’ Olson GA from 2016-2018 and will be graduating with her Masters in Library and Information Science this winter. 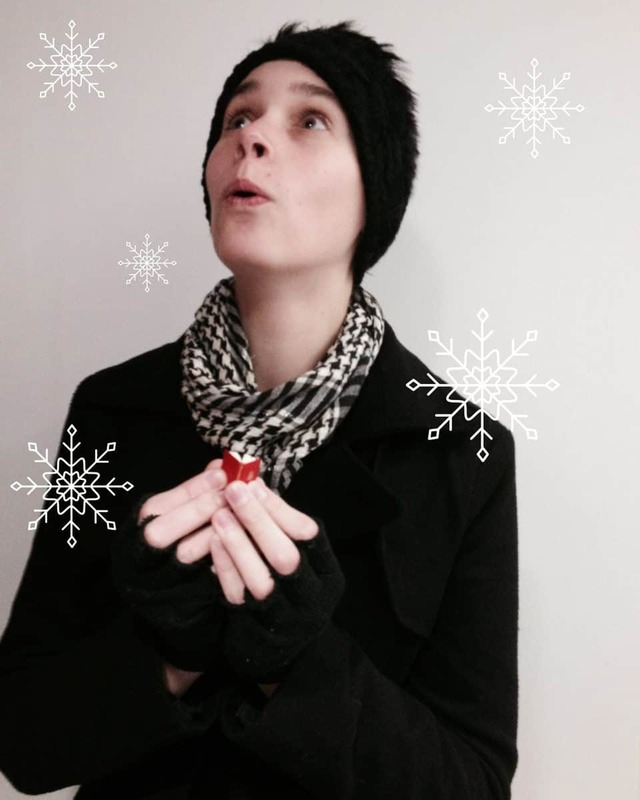 Micaela Terronez has been our Olson GA since 2017, and she will be graduating May 2019 with a Masters in Library and Information Science. Below they explain what it means to be an Olson GA and the experiences and opportunities that come with the job. Being an Olson is like being at a buffet, but with rare books and archives. You get a little taste of everything in special collections librarianship. If an aspect of the department gets you really excited, you can dive right in and have a big helping. For me, the areas that I dove into were instruction and reference. My passion for librarianship stems from the enthusiasm of a student or patron who discovers something for the first time or is eager about researching a particular topic, and that happens the most when I’m in a classroom or at the front desk. Talking with people one-on-one and listening to what gets them excited is one of the main reasons why I’ve enjoyed my time as an Olson as much as I have. It’s those small moments with people that get me fired up about being a full-fledged librarian some day. 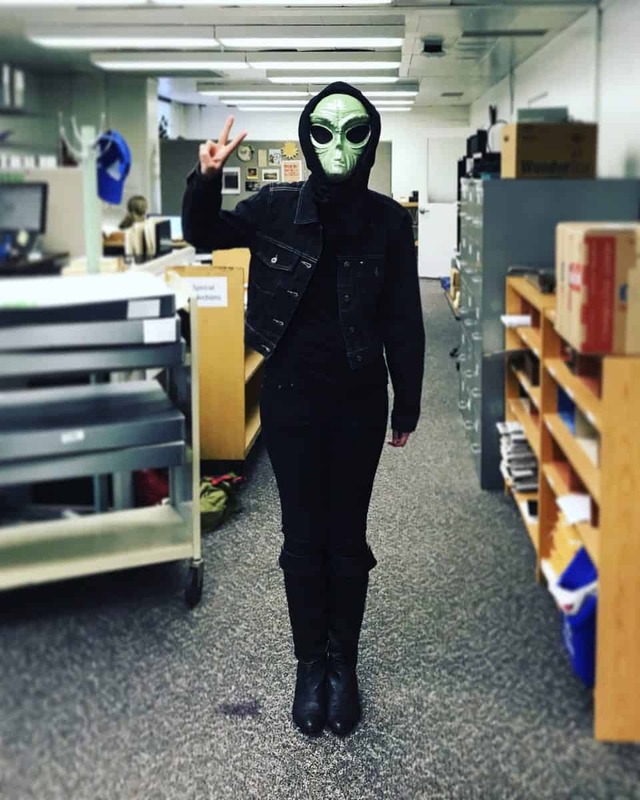 This past year as the Olson Graduate Research Assistant has been a wonderful opportunity for me to gain practical knowledge and experience in the work of special collections and archives. 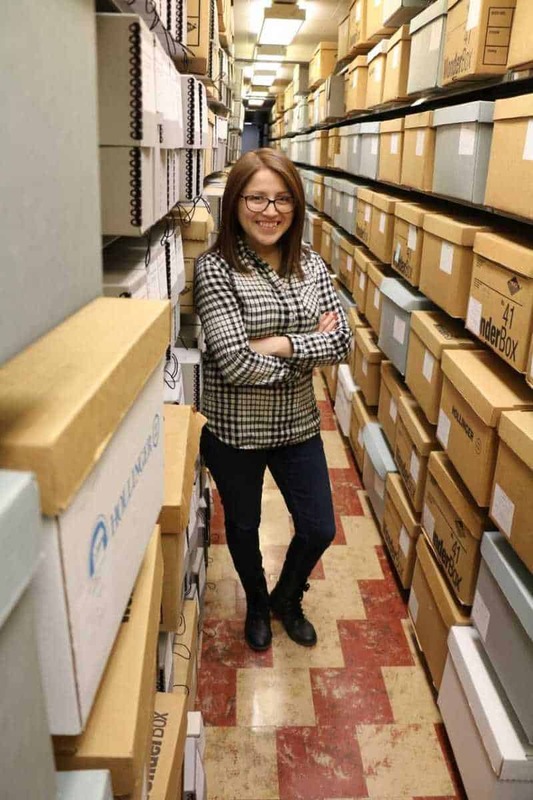 For example, I have learned about the day-to-day operations and responsibilities of a large university special collections — an experience that nicely complements my MLS coursework and previous professional work. Additionally, I cannot express how thankful I am for working alongside such incredible and supportive coworkers. Through this fellowship, I’ve been lucky to gain several mentors that have taken the time to listen, discuss, and collaborate with me as a new staff member. Thus far, my favorite experiences in this position have been in the Special Collections classroom where I’ve had the opportunity to instruct courses utilizing library materials — a responsibility that I was completely terrified to do originally! But because of the support and training I received as the Olson, I’m more comfortable than ever to conduct classes and experience some great moments with students. One of these moments was with a group of 20 Latinx high school students from Upward Bound, a program that brings first-generation students from the state to experience life as a college student for six weeks. The students gravitated toward stories of migration and underrepresented individuals that could be seen in several collections from the University Archives and the Iowa Women Archives. By far, this was one of my favorite classes because I saw firsthand how archival materials can resonate with students and the effect it can potentially have on their self-identity. For more information about the Olson Graduate Research Assistant position or application, please contact Lindsay Moen. The deadline is October 29th, 2018 at 5:00pm. 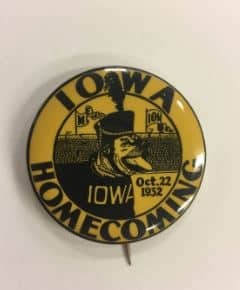 As we get ready to celebrate Herky’s 70th birthday, curator of the “Hatching Herky” exhibit, Chloe Waryan, looks back on her experiences and Iowa mascots of old. In the summer of 2018, I was fortunate enough to be awarded an internship at the University of Iowa Special Collections and University Archives in which I was tasked to design an exhibit celebrating the 70th birthday of Herky the Hawk. I am so touched by the kindness that I received from University Archivist David McCartney, Director of Development Mary Rettig of the Center for Advancement, and donor Jane Roth. I am happy to report that I had a lot of fun learning about the history of the University of Iowa during this internship too! Though the pre-Herky mascots didn’t make it into the exhibit, their history is fascinating. 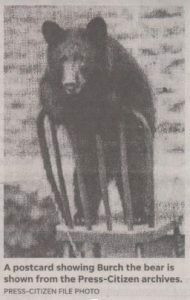 With the popularity of St. Burch’s Tavern, a new downtown restaurant, many Iowa Citizans may already know that our first mascot was a real live black bear cub named Burch. The significance of a bear as an emblem of UI is unknown, though we do know that the Chicago Cubs also had a black bear sent to them to serve as a mascot around this same time. When Burch became a full-grown bear, he broke out of his cage in the City Park Zoo (yes, City Park once had a zoo), and fled to the riverbank where he was later found dead. On March 10, 1910, the Press Citizen released an article titled “Burch is Found with Taxidermist,” detailing the plans of taxidermist Homer Dill who did work for the University of Iowa Museum of Natural History. However, after talking to Cindy Opitz, current Collections Manager of the UI Museum of Natural History, we learn that if he did indeed drown, Burch’s head was probably bloated and therefore not suitable for taxidermy. According to a Press Citizen article on April 8, 2018, Trina Roberts, Director of UI’s Pentacrest Museums, does not know where Burch’s head or bones may be. Almost 20 years later, the University adopted a 200-pound Great Dane named Rex as their next mascot. Lieutenant Colonel Converse K. Lewis, head of the UI Military Department, originally gifted the dog to Alpha Sigma Phi. Rex wore a tailored band uniform at football games and acted as the UI mascot until his death in 1933. Following Rex’s death, the University received another dog (either a Great Dane or St. Bernard) which they cleverly named Rex II. The University also used a real hawk as a mascot before Delta Tau Delta’s own Larry Herb donned the first Herky costume in the late 1950’s. From then on, Herky was always cast as a Delta Tau Delta until the fraternity lost their UI charter in 1998 due to drug and alcohol use. Tryouts for Herky the Hawk opened up to the entire student body of UI. In 1999, Angie Anderson and Carrie MacDonald were the first female students chosen to be the mascot. Anderson was injured while playing Herky when an Ohio State band member wielded a 3-foot foam banana at her head. She filed a lawsuit against Ohio State and in 2002, Anderson was awarded $25,000. 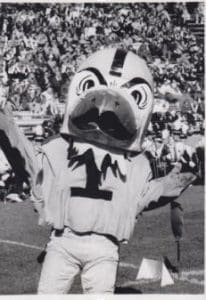 Shortly after, Herky’s “human identity” was kept a stricter secret and security members were also hired each year, in order to keep the mascot safe. As a graduate of the UI School of Library and Information Science program, I learned through this internship many things about collaboration in libraries. I was welcomed onto the Herky Birthday Committee with open arms. I formed a great partnership with the Spirit Coordinator of UI. I learned about the awesome physical education collection at the Iowa Women’s Archives. All in all, I will truly treasure my time at the Special Collections. Even the rainy days were fun! Join us September 14th, 2018 for a special Open House to celebrate the history of Herky. Event starts at 11AM and runs till 2PM, 3rd Floor of Main Library. Herky will even be joining us for the party starting at 12PM! All are welcomed to join! 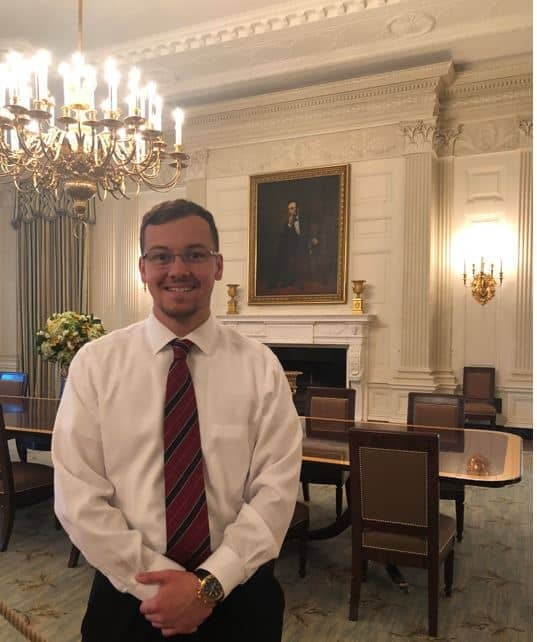 Special Collections student worker Seth Torchia spent a fascinating summer interning at the National Archives. We are excited for Seth to have had this wonderful opportunity and asked him to share his experiences below. This summer, I interned at the National Archives assisting with the Lincoln Archives Digital Project. 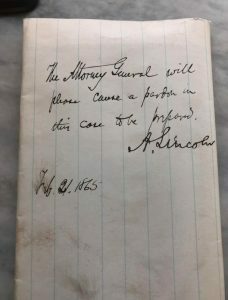 The Lincoln Archives Digital Project is a website that posts documents used during Lincoln’s presidency that are stored at the National Archives. Throughout the summer, I was in charge of the letters that were used to discharge immigrants from the Union Army because they were not yet legal citizens of the United States. The letters were issued to Edwin Stanton, the Secretary of War, from Secretary of State William H. Seward, informing Stanton of their discharge. The majority of these immigrants came from modern-day Germany and Great Britain and were living in either Wisconsin, Pennsylvania, or Maryland. My duties included taking inventory of all of the letters, scanning and photoshopping the letters for the website, as well as typing out the software coding for the letters to be posted onto the website. Apart from myself, I worked with 3 other students, who were working on their own document collections, and with my supervisor and founder of the website, Karen Needles. On Mondays we would work at the National Archives facility in College Park, Maryland where we would focus on the website programming. 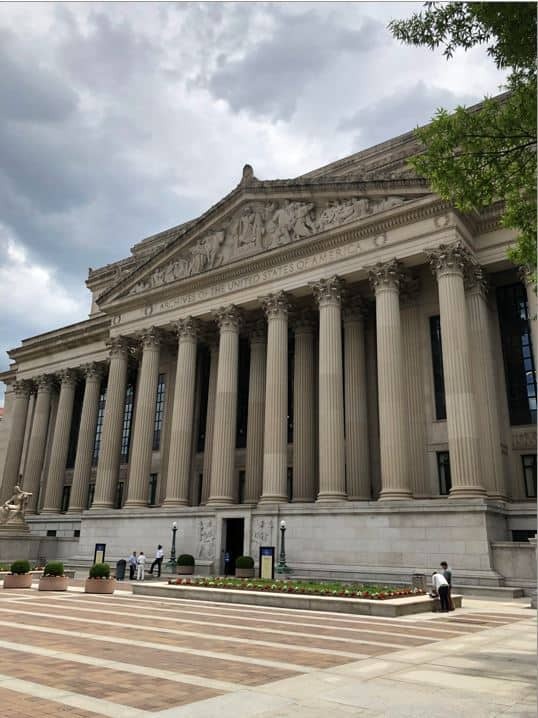 The following Tuesdays, Wednesdays, and Thursdays, involved working at the main building in Washington, D.C. where we would continue our work on inventory, scanning, or photoshopping. 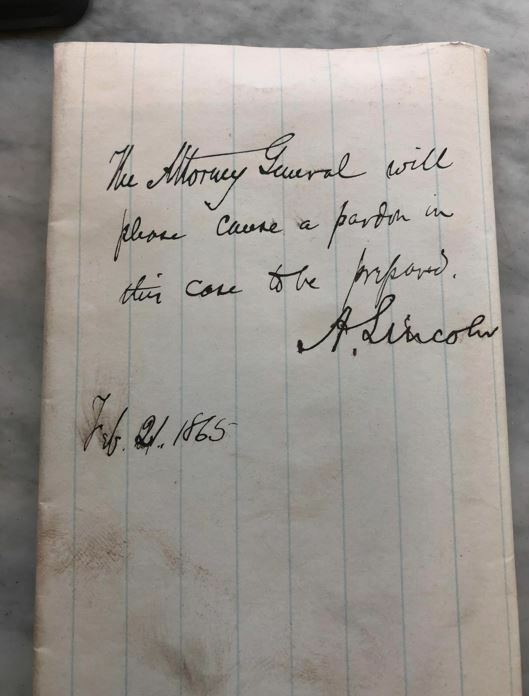 During my internship, I had time do my own research, and I found Abraham Lincoln’s signature in regards to a pardon case. I also discovered my great-grandfather’s promotion notice during his service in World War I. 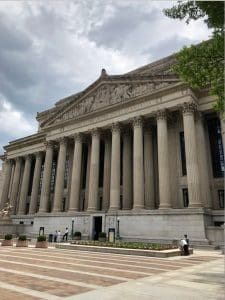 Working at the National Archives was a surreal experience as I was working in one of the world’s largest archival facilities, as well as one of the most historic places in the United States. I gained new skills during my internship, such as advanced computer knowledge, and feel I have really improved my research skills. I also got to see three of my professors who have taught me in previous classes here at Iowa. They were doing their own research, which I thought was neat to see. As well as my internship, I had plenty of time to explore Washington, D.C. My favorite things in D.C. were visiting the Library of Congress, touring the FBI Building, spending the 4th of July on the National Mall, and watching the Washington Capitals win the Stanley Cup. I had a great summer living in D.C. and my internship will be an experience I will never forget! What do the UI Libraries and UI Athletics have in common? Hawkeye History! 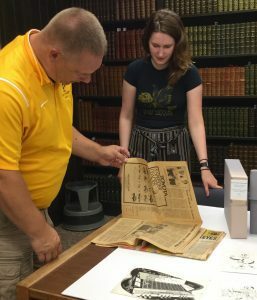 In this blog post, Chloe Waryan, Exhibit Design Intern at the University of Iowa Special Collections, interviews Gregg Niemiec, Spirit Coach of the Iowa Spirit Squad. For Herky’s 70th birthday, Gregg and Chloe team up in the Special Collections to discuss the items from the collections pertaining to Herky history. 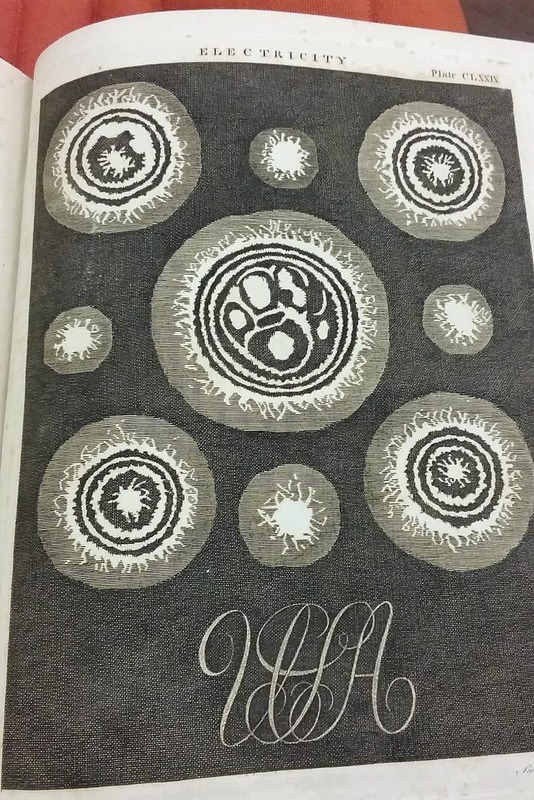 Read the interview below, and be sure to check out the exhibit “Hatching Herky” at the University of Iowa Special Collections and University Archives opening August 20! I am the Spirit Coordinator; I am in charge of the Iowa Spirit Squads which consists of the Iowa Cheerleaders, the Iowa Dance Team and Herky the Hawk […] For the Herkys, I help coordinate all of the events that Herky attends. [I] keep him clean and updated with the latest materials, costumes, and props. Most days, I am at Carver Hawkeye Arena in my office by 9:00am. I start the day [by] checking emails and voicemails, responding back to questions fans have, organizing upcoming events, traveling for away games, and coordinating any other items for our 50+ members. Usually […] I am either moving bags of things in or out of Carver, to or from my car to keep Herky on the move. In the afternoons, […] I lead the Cheerleaders at practice. On weekends we have games and events. It is kind of a 24/7/365 job. Do you conduct tryouts for Herky? What is that process like? We have tryouts each spring. These start in late January with informational meetings [to] give everyone a heads up on what to expect. [F]rom there we do skills days, and get [the Herky candidates] ready for what they are getting themselves into: the walk, ball skills, improvisation, creativity, and movement. We will do a few rounds of these items as [candidates] get used to what is expected of them. Then there is normally a Final Tryout. How many Herky’s are chosen per year? There is one Herky the Hawk, who represents the University of Iowa. But Herky has some helpers called Herky Security. These members can usually be found with Herky, protecting the symbol of the University of Iowa. There are usually six Herky Security members each year. What do you look for in a Herky candidate? Athleticism, creativity, ability to think quickly on your feet, love of the Hawkeyes, and ability to communicate. During the tryout process all of these items are tested, along with doing an interview with all of them, and lots of time to talk between things at tryouts. What does Herky do and where can Herky be seen? Herky can be found just about anywhere – all Hawkeye Athletic events, and most of the larger campus events (ONIOWA!, Homecoming, Dance Marathon, Orientations, Admissions Days, etc)… Craziest [places where] Herky has been seen: rappelling down a building, a few funerals, swimming (with proper lifeguard notification), and pretty much just about anywhere. You said that you helped with the art installation project Herky on Parade. What was that process like? The installation of Herky on Parade took place in the middle of the night. 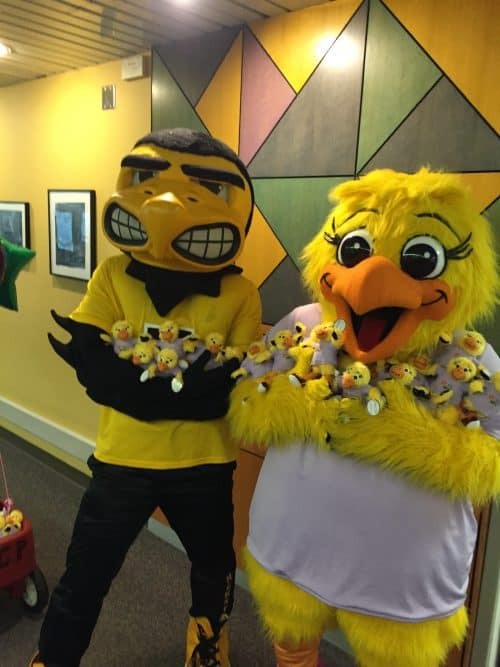 [In 2014], they had special shirts made for those helping, with a logo describing the night as a secret installation of Herky on Parade. There were 3-4 teams of people that met at the storage area and helped pull the statues out onto UHaul trucks. We loaded those up with 6-8 people and went to our designated areas around town. The concrete bases were already in place, so we would take the statue out of the truck and place it on the base and fasten it with large bolts to the base. We would place a name plate on each and then cover them up, as the big reveal happened the next morning. It took about three hours. It was neat to see them pop up around campus as we drove to the next one. The next morning, volunteers helped at each of the sites and pulled the covers off. It was great to see the creativity of the artist in what they did. From Hayden Fry Herky, Star Trek Herky, Farmer Herky, to some artistic Herkys that made you think. It was neat to see and be a part of the installation staff of Herky on Parade. What is one thing about Herky that we might not know? He has a cousin named Perky. She hangs out at the University of Iowa Stead Family Children’s Hospital. Perky makes kids young and old happy as they go through some rough times at the hospital. How do you think libraries and athletics can work together? There is a lot of history in Athletics around the University, and those events […] can be brought to life at the library, with books and media that reflect what Athletics around the University has done. Libraries are a cornerstone of knowledge, without them we would be lost.